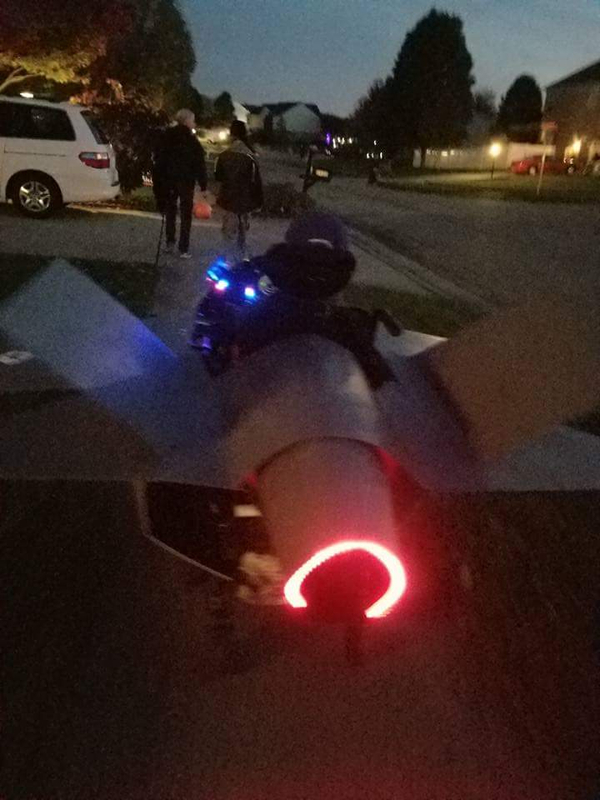 I built this costume as a volunteer builder for Magic Wheelchair. 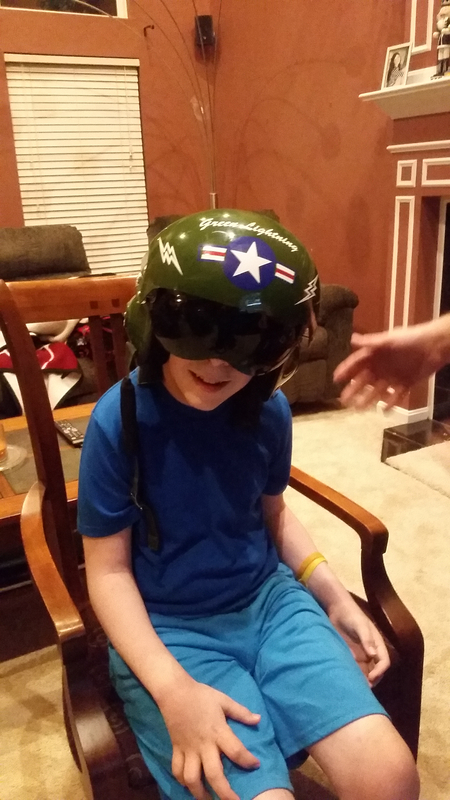 Dillon, our fighter pilot (call sign Green Lightning) , asked for a jet. 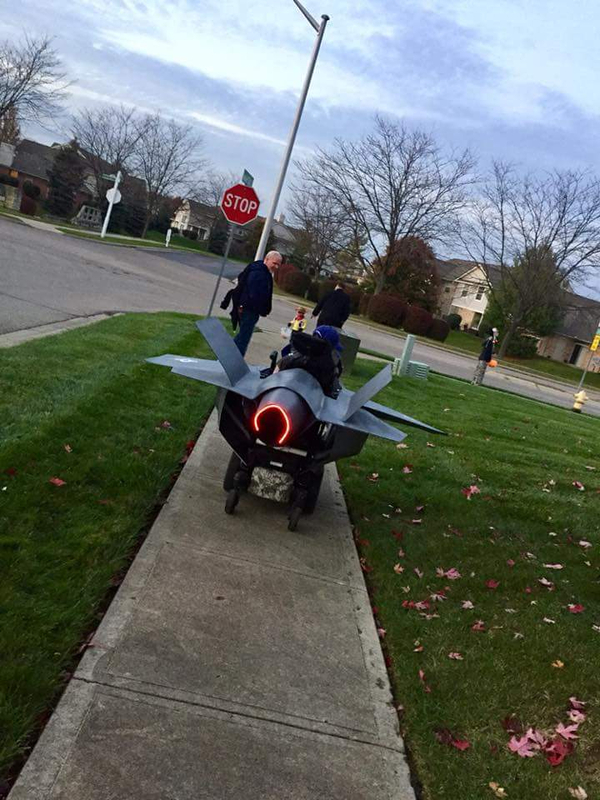 We modeled the costume off of the F-35 and modified it to fit his wheelchair. The frame is 1" pvc. The body separates into two pieces and the wings also detach. The body and wings are made from 3mm sintra. There's a nerf gun mounted in the nose of the jet, a speaker in the cockpit that plays radio chatter, a radar screen and afterburner lights in the tail. 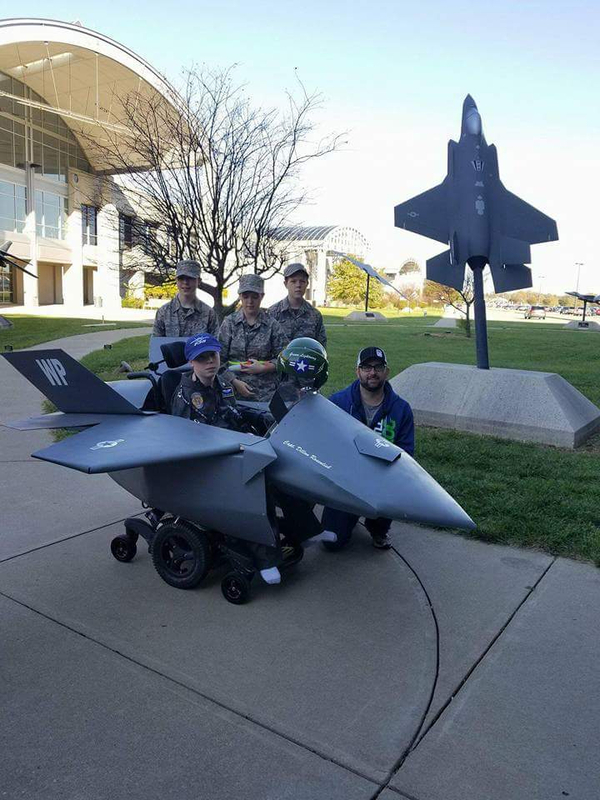 We held the costume reveal at Wright Patterson Air Force base. It included a ceremony where an F-16 pilot presented him with a challenge coin and several other items.